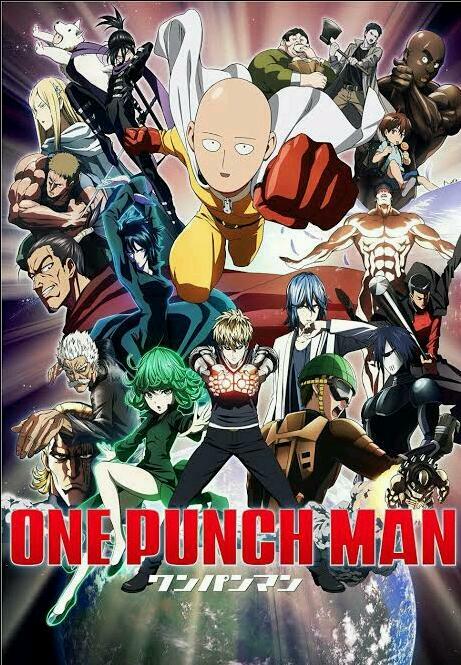 Our story start with a man named Saitama, a hero for fun. Saitama is a bald, ordinary-looking man with a thin, but well-built physique, and is of average height and weight. Saitama initially had spiky, black hair, but claims to have lost all of his hair suddenly and prematurely as a result of the toll taken on his body by his intense hero training. Saitama also has brown eyes that are represented as dots. He is classified as a Class C hero, so every week he has to always have to do heroic acts or he'll lose his job. Saitama has limited patience for long explanations, however, and will often interrupt the speaker. He lives with Genos has an entirely mechanical body in the model of a handsome young man. His face and ears look like that of a normal human, made of an artificial skin material, and his eyes have black sclera with yellow irises. He has spiky blond hair. His eyebrows are usually portrayed as blond, but in the anime they are brown. He also has pierced ears. Genos wears normal street clothes and sleeveless tops and hoodies in order to allow his arms to transform without hassle. He has been shown to have many different sets of arms, with varying abilities and strengths. Notable examples of his various "arms" are those he used in his sparring match against Saitama. Genos is classified as Class S hero right off the bat because his magnificent results on the hero written and physical test. They were at home coming back a long day of hero work. Saitama was going to getting dinner while Genos was writing Saitama ever movement. Then there was a knock on the door. Both Saitama and Genos was confuse, who would be out this late at night. 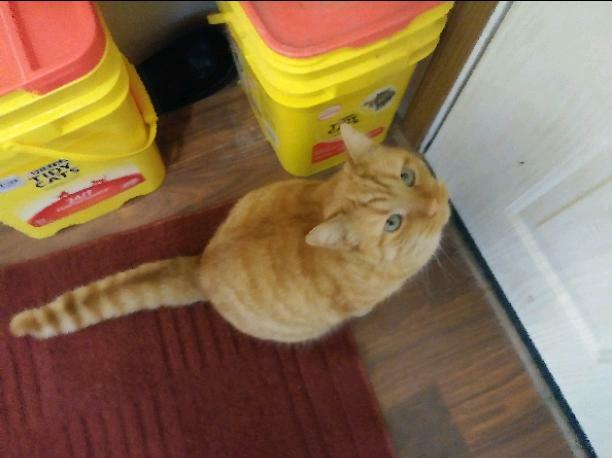 Genos stood up and walked up to the door. Genos was been cautious cause he wondered how can someone get to their door without triggering any of his proximity alarm. He slowly opens the door, and saw a beautiful woman with golden like hair, emerald eyes and wear a lovely white dress. She looked like a absolute angel. Genos gulped, before he could said anything the woman spoke and her voice was like honey dripping on sugar. "Oh, I'm sorry. I must've gone the address, I'm very sorry for bothering you." The woman said bowing her head. Before she left Genos asked her a question. "Wait. If it's alright, may I ask what is your name?" The woman stared at Genos shocked, but then she happily smile and responded. "My name is Angela, it's nice to meet you." Bowing her head again. Then Saitama called out to Genos saying "Yo Genos! Who is it?" Angela eyes widened, then Saitama walked up to the door to see who it is and his jaw dropped. "Angela?!" Saitama exclaimed. Angela move a piece of hair behind and smile "We meet again, Saitama~"
Genos was confuse and asked "Master you know this woman?" He said while pointing at her. Saitama nodded to Genos and then walk up to Angela. He gave Angela a hug, Angela gladly hugged back. Then she gently pat Saitama back saying "Be careful Saitama, you might crush me." Saitama then backed away scratching the back of his bald head. Saitama then turn around to Genos with his hand on Angela shoulder, he then said "Genos, this is Angela Fallen. She a very close friend of mine. She been friends with me since around the start of my training to become a hero." Genos slowly brought out his note book and then recording what Saitama, Saitama cover his face out of embarrassment and said to Angela "and Angela... this is Genos and he--" Saitama got cut off when Genos interrupt while grab hold Angela's hand started to shake it. "Greetings! I am Genos! Master Saitama disciple! It is truly an honor to meet a companion of my Master. Tell me, do you have any experience with combat?" Saitama was going at Genos because he making him more embarrassed. But then Angela rises her hand asking to speak. "It's is very nice to meet you too, Genos. The honor is mine. I knew Saitama for two years and never in my time on earth I'll thought he would ever bring up an disciple. You must be special. And to anwser your question, yes I do have experience in combat." Genos lets go of Angela hand and started to write on his note book again. Genos asked a bunch of more questions, which Angela gladly answered. Saitama was in the side getting annoyed that they are getting along, too well. Angela notice this and clapped her saying "You know what? I think I forgot to eat anything to day. I'm starving. You wouldn't mind to let me have dinner with two, would you? Genos I promise I anwser more of your questions later. If that's alright with you." Angela looked up at Saitama annoyed face turned into more calmer state. Angela breathe out a breath of relief. As the three walked inside, Saitama asks Angela "so when did you came back in to town?" Angela looked up at Saitama and happily explained. "About two weeks ago. I'm sorry I didn't visit you earlier but it's was kind of hard cause I been so busy lately. I was staying with my friend, but now she left home to take care of her family." Saitama turn to Angela and then said to her "so you basically don't have anywhere to stay, right?" Angela nodded saddle. Saitama again scratching the back of his head and the continued "well... I guess you can stay here." He sighed. Angela face beamed with joy, but before she said anything Saitama poked her head saying "But listen, I'm only letting stay because we're good friends. Got that? Don't go over your head like the last time you lived here. You got all of that Angela?" Angela nodded still having the expression on her face. "Yes! I promise!" Saitama then calmed down and walk to the kitchen making dinner, Angela ask if she can help but Saitama said he didn't need help. Angela saddened by this, then she sat next the small table with Genos. The Genos asked a question "Miss Angela, because you been with Master Saitama at the begin of his training. Do you know the secret of Master's magnificent power?" Angela stared at Genos and then thought for a minute how to anwser his question. "Well Genos... if you ask me. I think the secret is Determination." Genos stared blankly unsure what Angela means. Genos the asked "what do mean?" Angela just giggled to herself and respond. "Tell me Genos, why do you want to become so strong?" Genos paused before he anwser Angela question and ask why she asked in the first place. Angela giggled again and smiled to Genos. "That's it. Because you are so determined to archive your goal that very determination will lead you to new highs. Think of this... (your climbing a huge mountain, most people will cheat by using a plane or helicopter. But your not like that, you want to climb the mountain with your bare hands. But because your robotic parts your more like be using two pickaxes. And of that you have step up than others already. And with your enough motivation, you'll make it to the top. After Saitama has no robotics like you, he had to reach to the top by only with his bare hands. To reach that he trained endlessly while using his determination to push himself. Until he became the strong man we know today. Now it's your turn, use your determination to help you reach new highs. To get top of the mountain!) Do you understand?" Genos was inspired and started writing down everything Angela said. Thanking her for her sharing her's knowledge and wisdom. Saitama walks to Genos and Angela with dinner with worried and surprise. Angela explains what happened and after that they all ate dinner together.